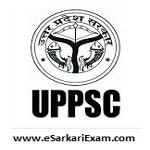 Eligible Candidates can Download UPPSC PCS Upper Subordinate 2016 Interview Admit Card at the Official Website of UPPSC. Applicants First Logon to UPPSC Official Website. Click on Download Admit Card PCS 2016 Interview Call Letter Link. Fill Login Details and Click Download Admit Card Button.